No one enjoys unloading dishes that are only semi-dried, but there’s a system that can help change that. A simple way to help dry dishes is to open the door slightly at the end of the cycle, and there are brands that can do this automatically. That’s right, the door opens itself when the dishwasher finishes washing. This might seem like an unnecessary luxury, as you could do it yourself, but if you put the dishwasher on before going to bed, or go out, for example, it can be a godsend. The automatic door-opening feature goes by various names, such as ‘AutoOpen’, ‘AutoRelease Dry’ and ‘Automatic Door-Opening’, but the basic idea is the same. 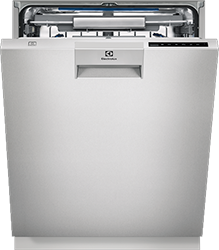 It automatically opens the dishwasher door at the end of a cycle to improve drying performance. By opening the door, it helps moisture escape, and in turn, dries dishes without the need of a vent, fan or heating elements. What brands offer this feature? The dishwasher also has 14 place settings and is boasted for a quiet operation of 44 decibels, which can be compared to soft conversations such as in a library, allowing you to use the dishwasher overnight at off-peak electricity times. Other models within the Electrolux range also feature AirDry Technology. The unit comes with 15 place settings and operates at just 41 decibels, which is quieter than most dishwashers. 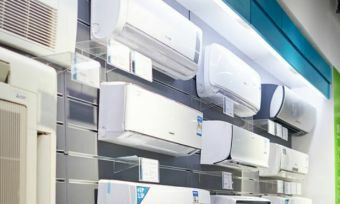 There are other LG models within the range that also feature LG’s AOD system. 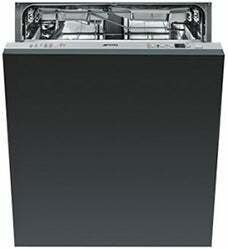 All Miele Generation 6000 dishwashers feature the AutoOpen technology. There’s also a built-in unit of this model available if your kitchen is not fitted for a freestanding option. This unit has 15 place settings and creates 45 decibels of noise when in operation. There are other models that also come equipped with this automatic door-opening feature. According to manufacturers, the open door allows steam from the dishwasher to escape, reducing condensation. The residual heat of the machine then allows the wash to dry naturally without the use of additional energy. It’s a simple and effortless solution to a major dishwashing problem. It helps ensure your dishes are dry when you’re ready to put them away. If you don’t want to worry about opening your dishwasher door yourself, then you might like to consider the brands above. 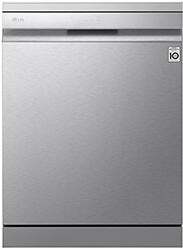 So, let the dishwasher get the door for you, and enjoy ready to empty, dry dishes.